The jigsaw is one of the most versatile tools you can have in your workshop. 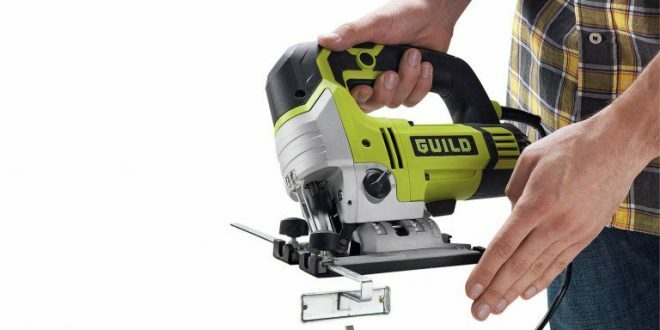 Woodworking demands efficient tools and this is one tool that delivers just that. When it comes to cutting stuff, I am a big fan of the circular saw, but the jigsaw can go places the former cannot even imagine. You can create many beautiful things with the jigsaw. Let’s check them out. To me, the jigsaw is like an electric knife. I mean from the perspective that you can use it just as you would a knife, to cut through stuff. The jigsaw is thin and long, similar to a knife but not exactly, in terms of dimensions. With a jigsaw, however, you do not need force to cut things. The mechanism of the device does everything for you. All you have to do is guide it accordingly to perform whatever task you have in mind. The fact that this versatile saw is thin and long makes it ideal for cutting so many things. Particularly delicate things or those that demand attention to detail. Its powerful nature and the size and shape of its blade make it convenient for handling even brittle things like ceramics. With a jigsaw, you can cut not only wood but also fiberglass, metals, and even drywall. The tool comes with various blades that can be switched to handle specific projects. The jigsaw is a very intuitive tool; it feels natural when using it. Once you get the grasp of how it works and how to manipulate it to achieve different effects and cuts, you will fall in love with it. It enables you to achieve various interesting cuts like curves, inside openings, circular cutouts or furniture trimmings, among others. The fact that you can achieve interesting cuts without breaking a sweat makes this tool very useful and addictive. You will find yourself using it to cut almost everything that needs cutting, resizing or shaping. I have a friend who loves the jigsaw so much he used it to cut his wedding cake in his wedding. You have no idea the trouble he had to go through to convince the bride to let this manly tool into her wedding! Now that is an addictive tool! In essence, you can do almost any project with a jigsaw. Furthermore, the device is very safe to use. The chances that an accident will occur while using this tool are significantly low. They are so safe for working with that even kids can use them for their school projects – but under adult supervision and guidance. A jigsaw is a necessary tool for anyone who loves woodwork and any DIY enthusiast. This tool enables you to achieve very interesting cuts easily. It can cut most materials you are likely to use in a project. It’s affordable, powerful, portable, and safe to use.